It's noteworthy that not all app files are useless to you. The photos taken or shared in Instagram, for instance, usually should be kept on your device for good. Other kinds of apps you need to concern about prior to scanning are news, magazine, ebook readers, texting and message, etc. 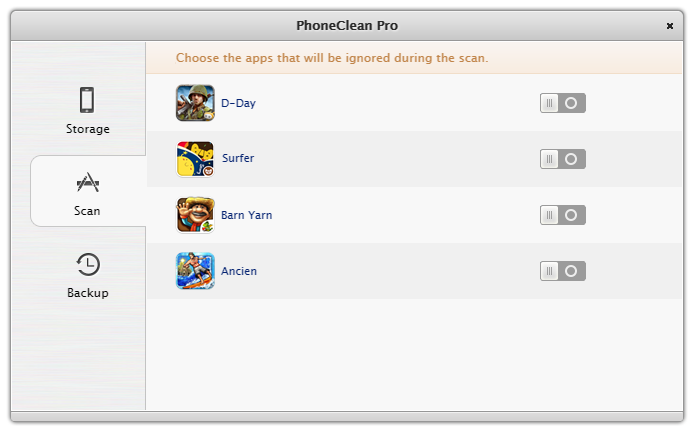 Step 2: uncheck the apps that you want PhoneClean to skip from scanning. If you clearly understand what types of file you want to keep within particular apps, then you can use this alternative method to prevent PhoneClean from cleaning the files you want to keep. 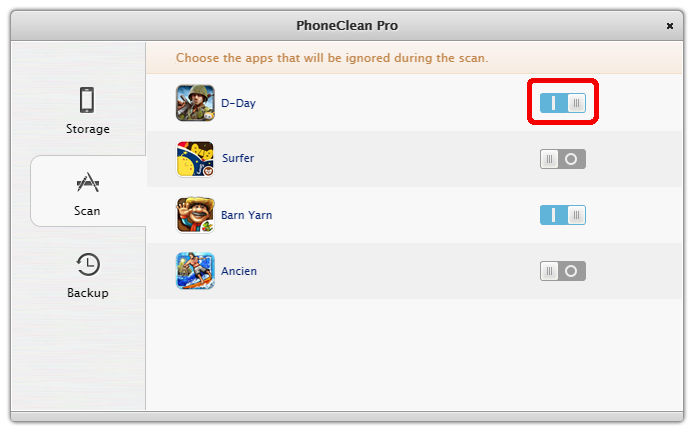 Step 2: take Ancient as an example, uncheck the option box and PhoneClean will not clean it. Even more specifically, you can click the arrow on the right side of apps to see what files on earth PhoneClean will delete.